$38.20 Ships within 24 hours. 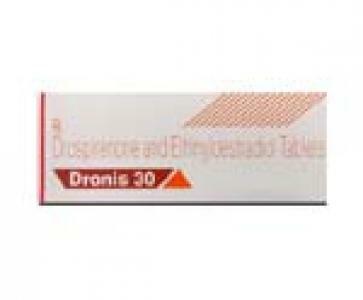 Tablet Chemical Name: Ethinyl Estradiol / Drospirenone. Possible Uses of Yasmin: This medication is a combination of 2 hormones: an estrogen (ethinyl estradiol) and a progestin (drospirenone). This product is used to prevent pregnancy. It works mainly by preventing the release of an egg (ovulation) during your menstrual cycle. It also makes vaginal fluid thicker to help prevent sperm from reaching an egg (fertilization) and changes the lining of the uterus (womb) to prevent attachment of a fertilized egg. If a fertilized egg does not attach to the uterus, it passes out of the body. Before using Yasmin: Before using this medication, tell your doctor or pharmacist if you are allergic to ethinyl estradiol or drospirenone; or to other estrogens or progestins; or if you have any other allergies. This product may contain inactive ingredients, which can cause allergic reactions or other problems. Talk to your pharmacist for more details. How to take Yasmin: Take this medication by mouth as directed by your doctor, with or without food, usually once daily. Pick a time of day that is easy for you to remember, and take your pill at the same time each day, 24 hours apart. 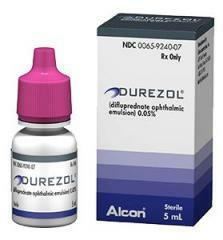 Taking this medication after your evening meal or at bedtime may help decrease stomach upset and nausea. Side Effects of Yasmin: Nausea, vomiting, headache, bloating, breast tenderness, swelling of the ankles/feet (fluid retention), or weight change may occur. Vaginal bleeding between periods (spotting) or missed/irregular periods may occur, especially during the first few months of use. If any of these effects persist or worsen, notify your doctor promptly. If you miss 2 periods in a row (or 1 period if the pill has not been used properly), contact your doctor for a pregnancy test. Precautions When Using Yasmin: Before using this product, tell your doctor or pharmacist your medical history, especially of: adrenal gland problems, stroke, blood clots (such as in the legs, eyes, lungs), untreated/uncontrolled high blood pressure, abnormal breast exam, cancer (especially endometrial or breast cancer), blood clotting disorders (such as protein C or protein S deficiency), diabetes that has caused kidney/eye/nerve/blood vessel disease, severe headaches/migraines, heart disease (such as heart attack, chest pain), heart valve disease, irregular heartbeat, kidney problems, liver problems (such as liver tumor, active liver disease), history of yellowing eyes/skin (jaundice) during pregnancy or while using birth control pills, unexplained vaginal bleeding, high cholesterol or triglyceride (blood fat) levels, depression, swelling (edema), family medical history (especially angioedema), gallbladder problems, obesity. Drug Interactions of Yasmin: Drug interactions may change how your medications work or increase your risk for serious side effects. This document does not contain all possible drug interactions. Keep a list of all the products you use (including prescription/nonprescription drugs and herbal products) and share it with your doctor and pharmacist. Do not start, stop, or change the dosage of any medicines without your doctor's approval. Overdose of Yasmin: If someone has overdosed and has serious symptoms such as passing out or trouble breathing, call a poison control center right away. Symptoms of overdose may include: severe nausea and vomiting, sudden/unusual vaginal bleeding. Missed dose of Yasmin: Refer to the product package information for advice on missed doses. You may need to use back-up birth control (such as condoms, spermicide) to prevent pregnancy. Ask your doctor or pharmacist if you have any questions. Storage of Yasmin: Store at room temperature between 59 and 86 degrees F (15-30 degrees C) away from light and moisture. Other Information of Yasmin: Do not share this medication with others.